A correct schnauzer cut can make all the difference to having a great looking schnauzer. 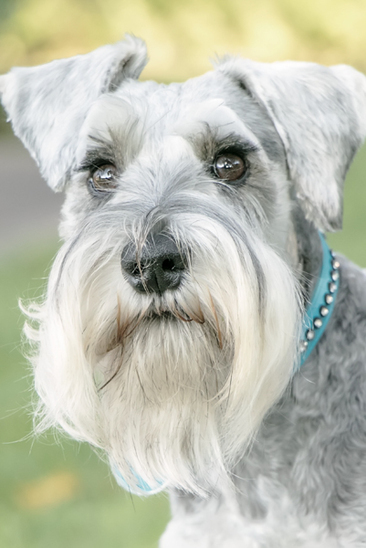 Most groomers do not know how to do a proper schnauzer cut and end up shaving the nose, leaving long puffy legs and high skirts like a scotty dog. Your schnauzer cut should look like HRH Maximillan. If it does not, you need to get a new groomer. Download the schnauzer grooming charts below. Show them this photo of a correctly groomed schnauzer so they know what to do. Why don't you consider learning to do the grooming yourself? Its easy and fun! 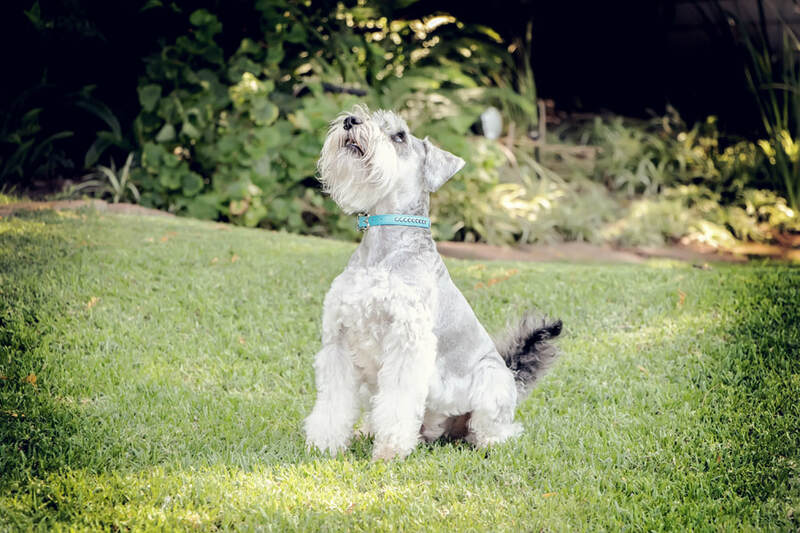 ​That way your schnauzer looks great, you get to spend more quality time with your schnauzer and you know that they are safe from potential harm or mistreatment. Contact Ace Grinding in Cape Town to buy a quality clipper, brush, comb and scissors. They are the best for grooming supplies. Contact Francois from Keystone re schnauzer grooming training as he runs adhoc one day courses. Adult Schnauzers should go to the grooming parlour about every five to seven weeks. Sometimes at longer intervals in winter and at shorter intervals in summer. You can also consider getting a mobile groomer to come to your house. Make sure you get references regarding the groomer or parlour you use. Please also ensure that they know how to cut a schnauzer and that you don't end up getting a poodle or scottie cut. Please do not leave your schnauzers alone with the groomer. It is very stressful for them. Wait with the groomer for them to be finished and ideally watch the groomer with your schnauzer. There are many horror stories so protect your pooches. Below are the American Miniature Schnauzer Club grooming charts. Make sure your groomer has seen these grooming charts - else you will not get the correct cut. Click here for information from them on grooming and the bigger versions of the charts. Do NOT shave the hair off a schnauzers nose! If they do this it takes ages to grow back. Good groomers leave the beard which is the trademark of a schnauzer. Do NOT trim the hair off underneath a schnauzers eyes! If they do this it takes ages to grow back and your schnauzer looks like a raccoon. Good groomers leave the hair under the eyes which forms part of the trademark schnauzer beard. Do NOT leave long hair on the paws. Good groomers cut the hair around and underneath the paws neatly. You should be able to see your schnauzers nails and the pads should be free of hair sticking out. When bathing your schnauzers please use shampoo that is specific for dogs. Do not use human shampoo as the PH is very different. If you use a very gentle shampoo you can bath them as often as required. I use a very gentle doggy shampoo for the body and I use Johnsons Baby shampoo for the face and beard. I only rinse the face with clean non soapy water. Be careful not to get water in the ears. I use a non slip mat in the bath to make them more comfortable. Make sure the water is luke warm. (Not hot or cold). I wash them and then am very careful to ensure that I rinse them thoroughly with clean water. I towel dry them and use the hairdryer if it is in winter or if am in a hurry. If it is summer I often let them dry in the sun outside. If you come back from the park and they are covered in mud etc. sometimes I just give them a quick rinse in clean warm water. I strongly recommend that you get them used to being brushed and the hairdryer as young puppies. You need to keep your schnauzers nails trimmed. They should not touch the ground when they are standing. Check if the groomer cuts the nails when you take them to the parlour, or take them to your vet. I have brought a good quality nails clipper from a pet store and have learned to cut my schnauzers nails myself, so can do it when I see it needs it. Please start handling the paws and nails from an early age else your schnauzer will be very stressed if you suddenly try cutting them when they are older. Click here for more information on cutting a schnauzers nails. You need to keep your schnauzers teeth clean. You need to start cleaning the teeth when they are puppies so they get used to it. I started just using my finger so they got used to me touching their mouths. I use a petdent, a special doggy toothpaste (you can buy from most vets). Please DON'T use human toothpaste on your dogs! Another option is to feed them healthy raw bones as this is a natural teeth cleaner and my schnauzers prefer it. Click here for more information on cleaning a schnauzers teeth. You need to keep your schnauzers ears clean. The groomer should clean the ears when you take them to the parlour. Some groomers pluck the hair out of the ears (old fashioned and I don't do it to my dogs) and most groomers just trim the hair. I have brought a good ear cleaning solution from a pet store and have learned to clean my schnauzers ears myself, so can do it when I see it needs it. Start handling the ears from an early age else your schnauzer will be very stressed if you suddenly try cleaning them when they are older. Click here for more information on cleaning a schnauzers ears.